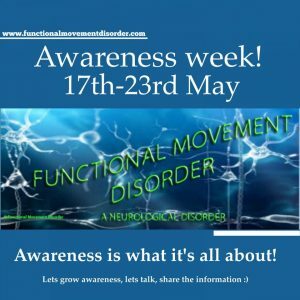 During our week of Functional Movement Disorder Awareness, I would like to look at other things that may be part of the reason why we have this disorder. Anxiety, Depression, IBS (irritable bowel disease), all of which I myself suffer with, can impact upon the gut. It plays a big part in our daily lives. You may have seen, or heard before, about how the food we eat which goes into our gut can effect us. What happens in the workings of the gut, can have a connection to the brain. Changing the way the brain works, and also giving reasons behind brain inflammation or brain degeneration through the gut-brain connection. I’ve been looking at this for a while, and I have been taking those little probiotic drinks for years, to put good bacteria into my stomach. I have a lot of stomach problems, and the drinks do seem to help a little. Here is a link to a study being done, relating to the gut and its relation to Multiple Sclerosis. As you know, we suffer many of the same symptoms as MS, so surely this could be a related factor to our disorder as well. Take a look, and decide for yourself. What are your thoughts on this, do you have problems like this too?